Brand: Autumn Carpenter Designs 43-4709 Units: 1 Generous size clear, plastic texture sheet to create edible projects with outstanding details. 21" x 23". 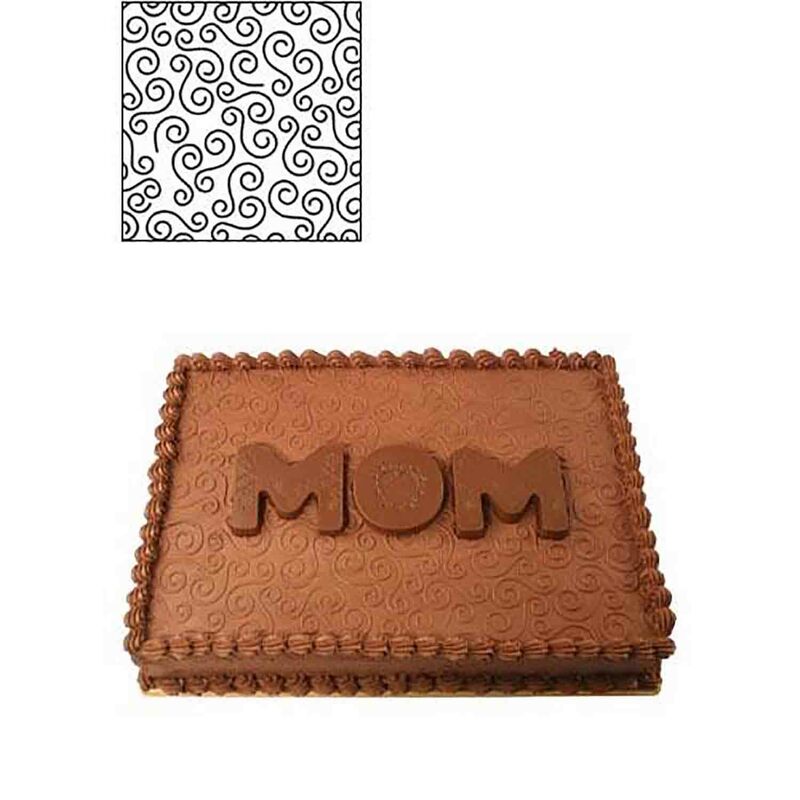 The "MOM" cake is a 9" x 13" sheet cake iced with chocolate buttercream. The swirl texture mat was pressed into the crusted chocolate icing.